From 8-12 May, 2017, nine members of ENID convened in Athens around the subject of Materiality and Visuality of Cult and Devotion in East and West. The conference was hosted by the Norwegian Institute in Athens and its coordinator Zarko Tankosić. 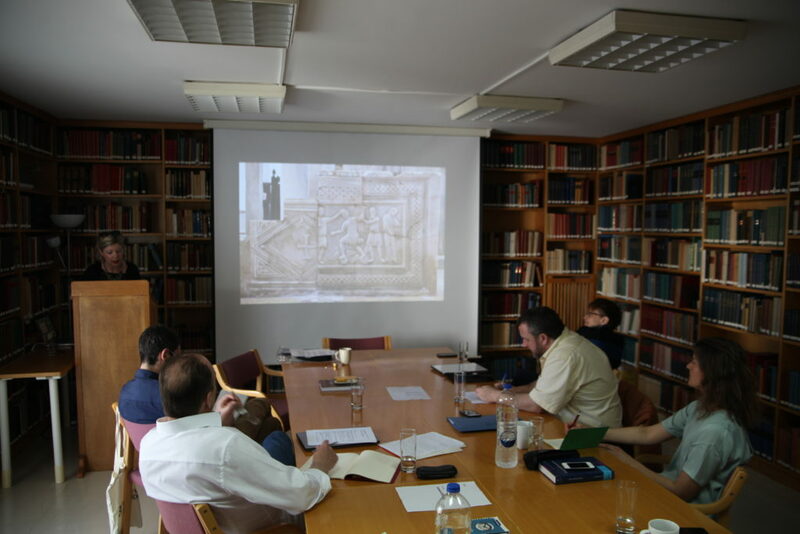 All presentations focused on material and visual aspects of devotion from the Middle Ages to the present, and many speakers drew a comparison between the Greek East and the Latin West. Topics discussed include the iconography of Kairos (Baert), the ‘heritagization’ of Serbian monasteries (Klekot), Franciscan exempla literature (Ryan), Roman Catholicism trough the Danish-Norwegian Reformation (Laugerud), medieval chancel screens (Kroesen), the definition of images in Renaissance Bologna (Smith), the impact of icons in medieval Catalan art (Sureda), devotional practice and the museum (Von Achen), and animation of objects and materiality and the Danish Reformation (Skinnebach). 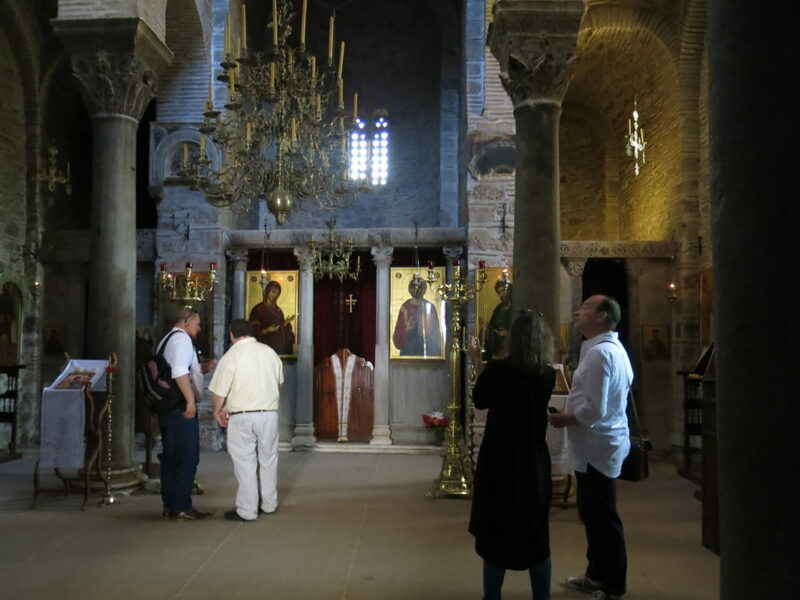 On Wednesday the UNESCO-listed monastery at Hosios Loukas was visited with a guided tour by archaeologist Antonios Georgiou. A visit of the Byzantine and Christian Museum of Athens with its marvellous collection of church furnishings and icons took place on Thursday afternoon. On Friday morning three participants joined in a visit of the monastery of Dafni at the outskirts of the city. This Byzantine church was used by Cistercian monks for a long period turning this monument into a true amalgam of East and West.